Talents in different creative industries in the country are left undiscovered or unattended to and in return, most of them end up abandoning their passion for something else where green pastures can be found. For talents to be given the needed attention, more needs to be done in the different creative fields. 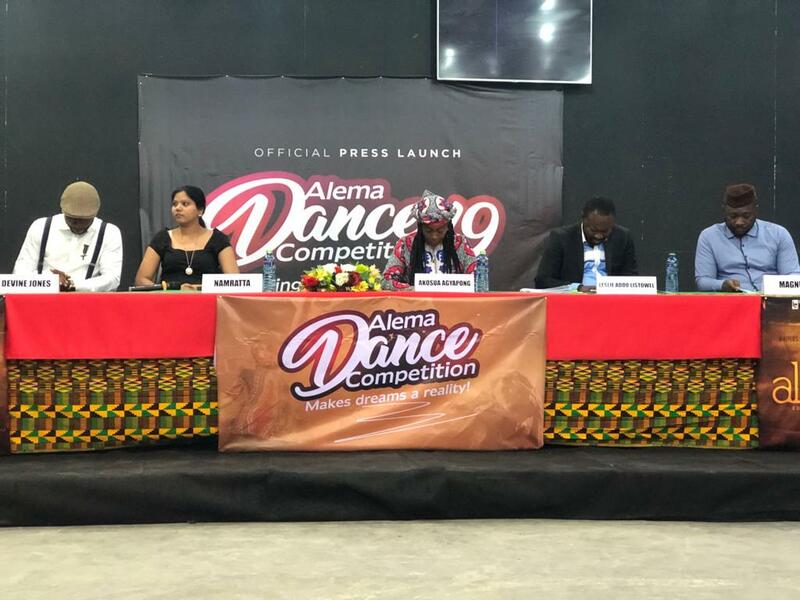 Hence, the launch of Alema Dance Competition 2019 on February 1 compèred by Ghanaian actress, Selly Galley with experienced judges including ace Ghanaian highlife legend, Akosua Agyapong, and more. The main purpose of the dance challenge is to unearth and give talents within the dance field the opportunity and the financial backing to go further with their creativity on the stage. Alema as an international brand, under the auspices of International Entertainment Group-(Ieg), Bollywood (INDIA) has finally arrived in Africa, most especially in Ghana. “ALEMA” is ready to take-off with the great support of giving to talented young Ghanaian dancers the platform to showcase their God-given gifts in the most fun and rewarding way. Alema with its international brand with regards to classical and professional film production in Africa has sought to support the music and dance cultural industry, hence given birth to Alema Dance Competition, 2019. The Alema Dance Competition, 2019 is organizing auditions throughout the regions of Ghana. “Alema” is freely registering and scouting out for talented dance crew/group of 5-to-10 dancers and above 18years, to compete on one big stage, in the challenge of dance moves and skilful formations. This dance reality show will be running for 16-20 weeks in competition, with 1st Prize 25,000, 2nd Prize 15,000 and 3rd prize 7,000ghc for the three emerging dance crew at the end. International Entertainment Group-(Ieg), Bollywood (INDIA) with its international brand “Alema” is proud to be in partnership with Gh Media School in executing this dance group reality show with auditions in Cape Coast, Kumasi and Accra on February 16th, February 23rd and March 2nd, 2019 respective.